At present, the common methods for disposal of plastic waste includes landfill, burning and recycling. But landfill and burning will cause secondary pollution. 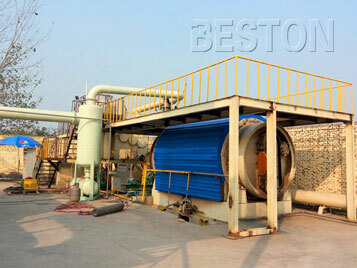 We have developed two methods to recycle waste plastics, PE granules making machine and plastic pyrolysis machine. 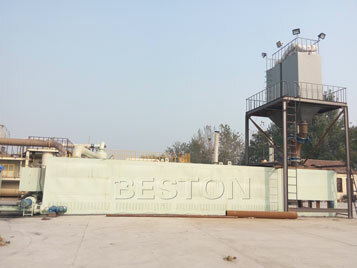 With continuous rising of crude oil price, solution of converting waste plastic into fuel oil has been attended by many countries, because of free of environment pollution and obtaining economic benefits. 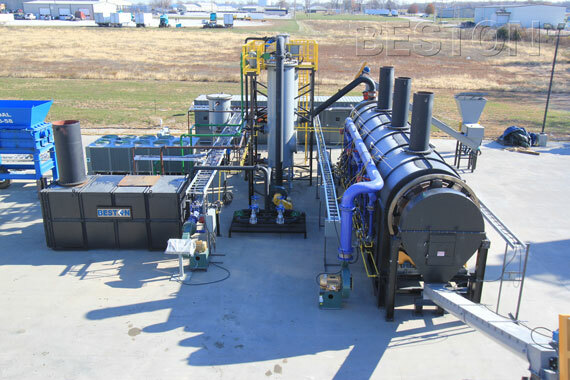 Adopting the world’s advanced pyrolysis technology, the plastic waste recycling plant can turn waste plastic into fuel oil and carbon black by high temperature heating (about 250-280℃). 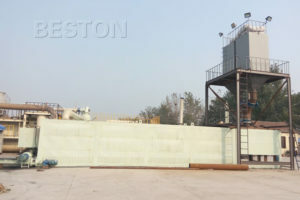 Both of the end-products are in high demand and can sell well in the market. The fuel oil can be widely used in industries such as steel and iron and Boiler factories, ceramics, power or chemical industries etc. 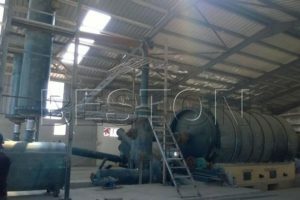 The carbon black can be used for construction bricks with clay, also can be used as fuel. 2. 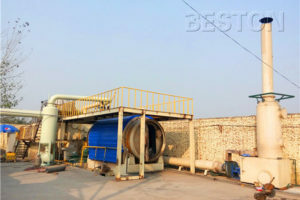 The plastic recycling plant for sale is equipped with safety devices (alarm for over temperature and pressure, auto pressure releasing system, extra gas recycling system, fire fighting devices), which will guarantee 100% safety in the production process. 1. 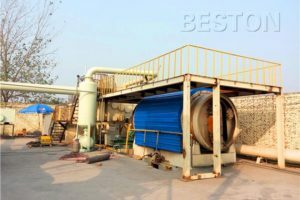 In the dedusting system, three steps (dust chemical removing tank, ceramic ring filtering system and alkali sprayers) are used to dedust the hot smoke from reactor, which ensures the released gas is pollution-free. 2. 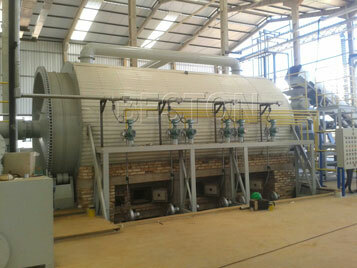 The exhaust gas will be directly recycled for heating reactor, no gas pollution. 1. There is also a little combustible gas producing in the plastic to fuel conversion process, the gas can be recycled to heat the reactor as fuel, which will save energy for the whole working process. 2. With an auto welding machine for the reactor, it can not only greatly improve working efficiency but also guarantee the quality of welding seam, thus avoid gas leak and save fuel. 1. Compared with the general condensers, our tubular condenser has the features of larger cooling area and better cooling effect, which can can further ensure and improve the oil yield efficiency. 2. We can provide you with special catalyst, which can not only improve the flavor and color of the oil, but also accelerate the reaction speed. Thus, it can increase the average oil output by 5%. 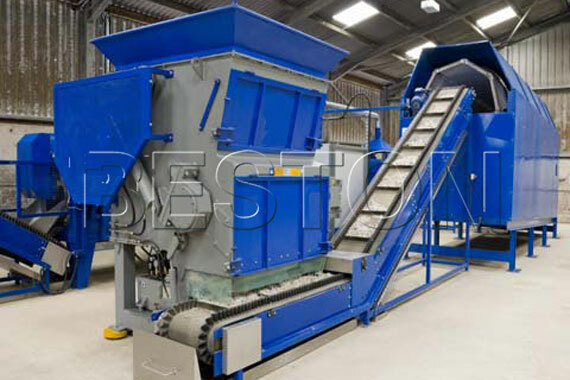 Due to recycling of waste plastic to oil has wide raw material sources and low cost, it is applicable to all the plastic products. So it has huge market potential, high economic benefit and can solve the waste plastic disposal problem as well as help relieving energy crisis. 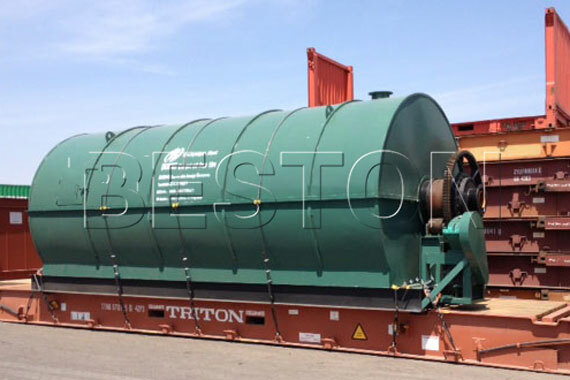 To meet different customers’ demands, we can provide BLJ-06, BLJ-10, BLJ-16 and BLL-20 for you. If you are interested in any of our plant, you can contact our customer service staff or send an inquiry to our salesman. We are ready to serve you at any time.